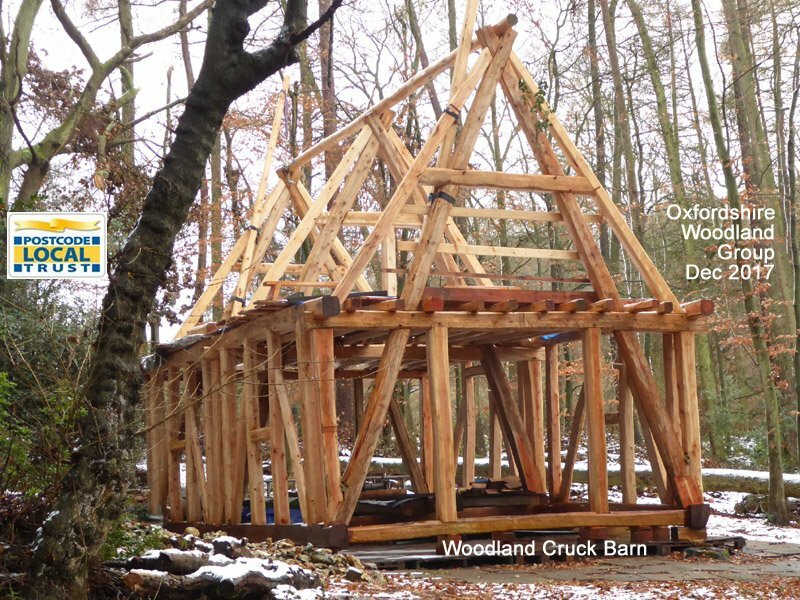 The cruck frame was raised on 10 November 2017 by the OWG trustees and fellows. 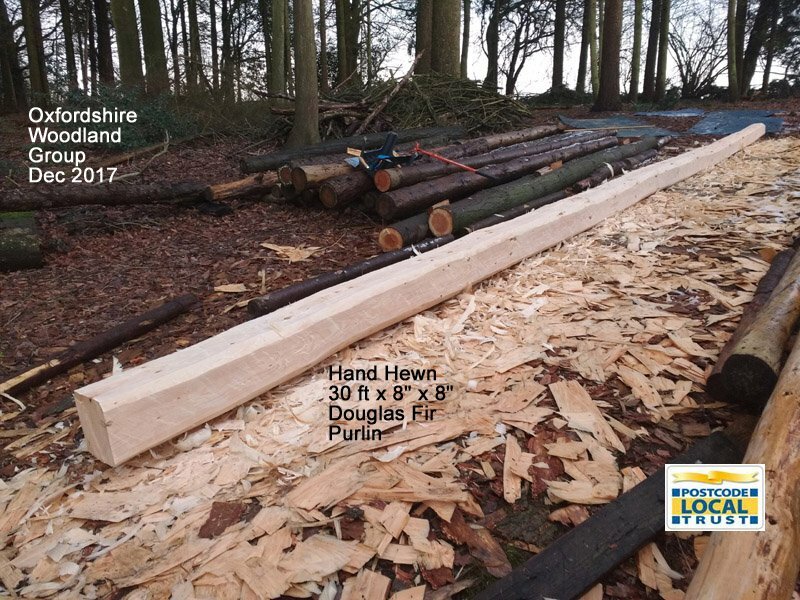 Work then proceeded to stabilise the frame by fitting wall plates to the sidewalls enabling the removal of temporary sidewall bracing and then fitting a single piece (30ft +) Douglas Fir ridge hewed to form a 16 sided (round) section. 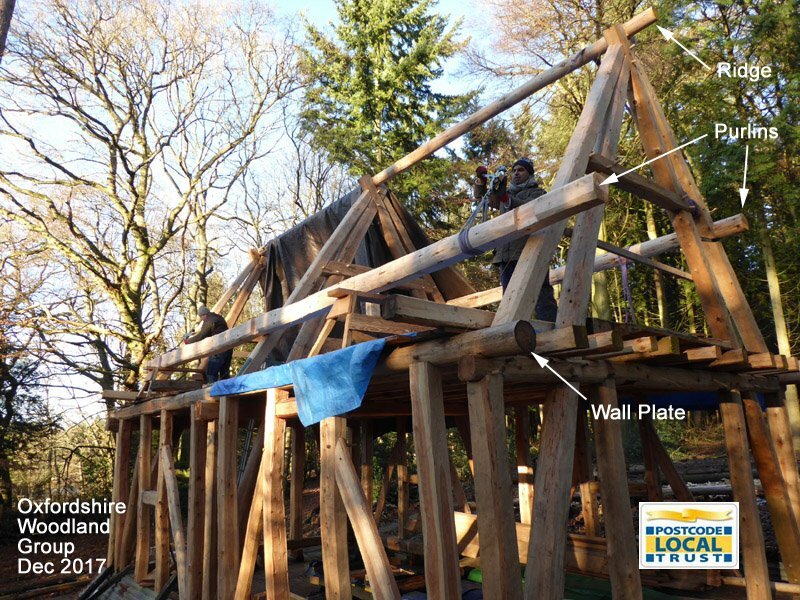 Hewn rafter stock was then used to span between the cruck mantles (tie beams) to support a temporary upper plank floor to enable roof work to proceed. and raised into position to sit (double lap jointed) on the backs of the principal (packer) rafters. A tarpaulin was stretched across the ridge to form a temporary roof to help keep the raised frame dry.